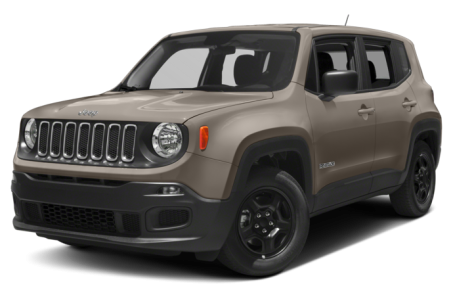 The 2018 Jeep Renegade is a subcompact SUV that seats five passengers. It is powered by a standard 160-hp, turbocharged 1.4-liter four-cylinder engine mated to a six-speed manual transmission. A more powerful 180-hp, 2.4-liter four-cylinder mated to a nine-speed automatic is available as well. Front-wheel drive is standard, while four-wheel drive (4WD) is optional. The Trailhawk trim has its own 4WD system with a rock-crawl mode and hill-descent control.